Get your camera ready this April Fools' Day! 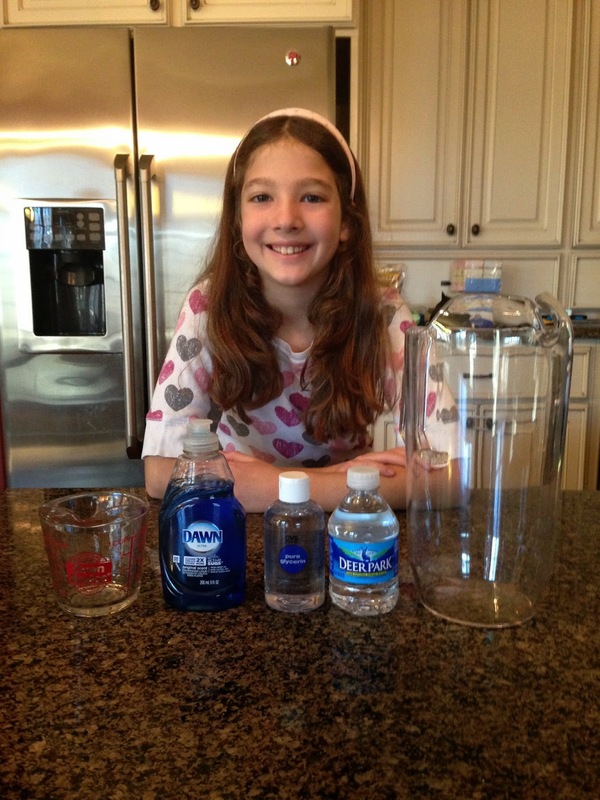 Here are some kid-friendly April Fools' Day Jokes that kids will have a blast doing! Or that you could even do yourself! One of my favorites is where you drill a hole in an apple and put a gummy worm, sticking out! This is a family-friendly April Fools' joke that also is a healthy fun treat! Below are 20 hilariously fun April Fools' pranks that will get everyone laughing! Hilarious! Change the language on your kids or hubbies smartphone. Aahh! Hide a plastic bug or spider in your kids lunch! You can put it inside a bag full of grapes or on top of a sandwich! For dinner have your kids put one on your hubbies favorite meal! Serve some Brown E's! 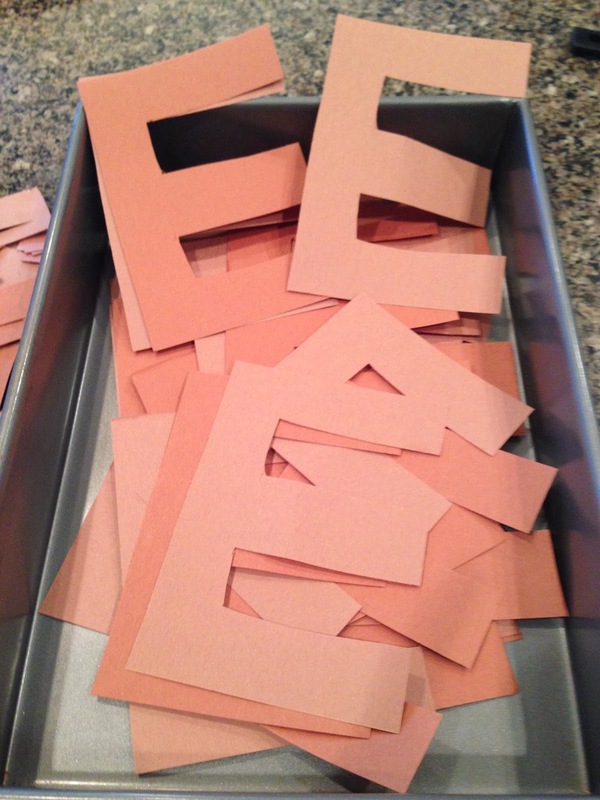 Cut up a whole bunch of brown letter E's. Then put them in a brownie baking pan and cover it with tinfoil. When your kids get home from school, tell them you made them some brownies. They will be really surprised when the find lots of brown E's! Pillow pop. Take your kids pillow out of it's pillow case and fill it with small balloons. Then lay it nicely on their bed. When they lay down, they'll find a big surprise! Soaked! Place a piece of tape over your kids faucet. When they turn it on, it will spray everywhere. Ouch! If you have crutches or a foot boot, use it! When your kids get home from school pretend that you broke or sprained your ankle. Milk it for as long as you can! Huh! Freeze your child's cereal with milk in it! It will be hilarious watching them try to eat it. Did my feet grow? Stuff toilet paper or tissue inside their shoes so when they put them on they will think their feet grew. Really funny! Short sheet your child's bed. What you do is make the bed where the sheet is folded halfway down. Put another blanket on top so they won't notice they half folded sheet. When your child get's in at bed time, they aren't going to be able to extend their legs! Frustratingly funny! Cover the remote sensor with a small piece of tape. A yummy surprise. Switch the chips trick. Take two snack-sized chip bags. Cut the bottom of both of them and switch the chips! Make sure you tape the bottom of both bags carefully so they won't notice. Eeks! For lunch, cut a small hole in your child's apple and put a gummy worm in it. Uh-oh! Tell your kids that the Principal called about what they did at lunch. Then ask them to explain without mentioning anything else. Yuck! Make your child a sandwich and put a few drops of green food dye on the bread. They will think it has mold on it. So silly! Make jello the night before and put it in a glass cup with a straw. The next morning serve it to the kids. Yikes! Using a needle, poke tiny holes into a water bottle. Put it where your child usually sits for snack. When they pick it up and squeeze it, the water will squirt out everywhere. Surprise cupcakes! Bake meatloaf in cupcake wrappers. Then top with mashed potato's and serve for dinner. You can even add food coloring to the mashed potatoes making them really look like frosting. When your kids see the cupcakes, they will think you are the coolest mom on the planet until they realize it isn't cupcakes and instead meat and potatoes. Seriously funny! Have your child clean their room. Tell them that they will get a really tasty treat afterwards. When they come to tell you it's clean, have your husband go in and stuff toys and books under their bed. You can even just re-dirty the room by scattering clothes and toys around it. Go upstairs with your child and check to see if the room has been cleaned. They will be shocked when they find it's a complete mess! OMG! I'm late! Set the alarm clocks ahead an hour! Zing! Have your kids tell the classic "Your shoes are untied" to a friend. This is such a fun Brain Game trick that my son learned by watching the Brain Games on the National Geographic channel! It is a blast to do and impossible to do at the same time! You need a nice straight dollar bill. 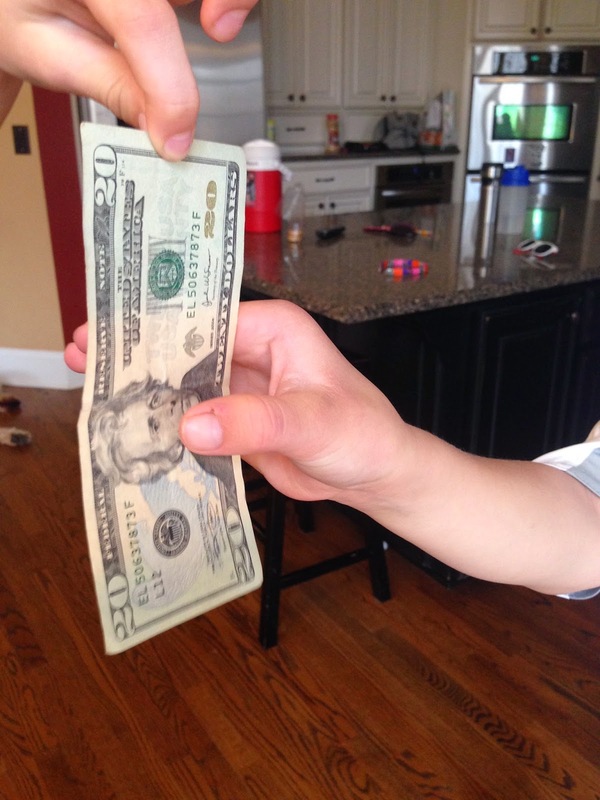 We used a $20 bill because it created more motivation for my kids. On the Brain Games television show, they actually used a $100 bill, having strangers try to catch it. No one was able to and they definitely were trying! One person needs to hold the dollar in the middle at the top of one end. The second person will place their thumb and pointer finger about a centimeter away from the Presidents head as the can, without touching the dollar. Their fingers should be aligned with the middle of the President's head. The person holding the dollar will randomly drop the dollar bill, while the second person tries to catch it. Watch the video to see my son trick his sister. Essentially, what is happening is that the dollar drops faster than the signal to close your thumb and pointer finger together reaches your brain. No matter how many times you do it, you won't be able to catch the dollar because your brain just can't process the action of your thumb and finger grasping the dollar fast enough. If you have any fun mind game tricks, please share! 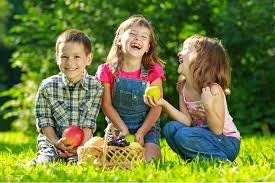 Laughing is one of the healthiest things adults and kids can do! It helps improve your immune system, relieves stress and brightens peoples attitudes. Since, today is National Let's Laugh Day, I thought I would share a few jokes for kids to tell. The following are some funny kid jokes that my kids love to tell! A: Because she will Let it go. Q: Where is a rabbit’s favorite place to eat? Q: What did one penny say to the other penny? A: We make cents together! Q: How do you make an Octupus laugh? Q: How do you organize a space party? Q: What kind of horses go out after dusk? Q: Why did the boy smear peanut butter on the road? Q: What streets do ghosts haunt? Q: Why was the teacher cross-eyed? A: Because she couldn't control her pupils. Q: What building has the most stories? No silly! A cow says Mooooo! Doughnut ask. It's a secret! Wow! I didn't know you could yodel like that! 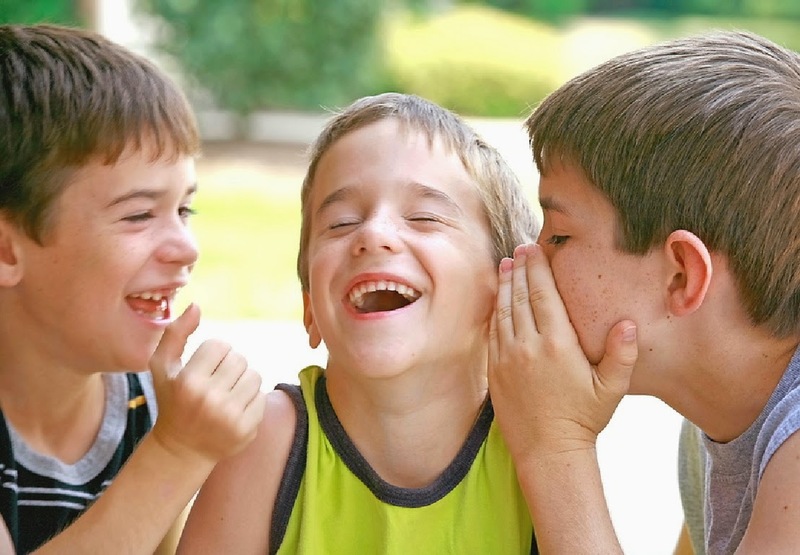 Here are a few websites for more hilarious kid jokes, knock knock jokes and riddles! Pimples, pimples and more pimples seem to be popping up monthly in my life having three tweens. Lately, I've been struggling trying to figure out the best way for them to take care of their skin so they don't grow up having major skin issues like scars from popping pimples. Josie Griffith a Licensed Esthetician was kind enough to share some valuable skin care tips for helping teens take care of their skin. 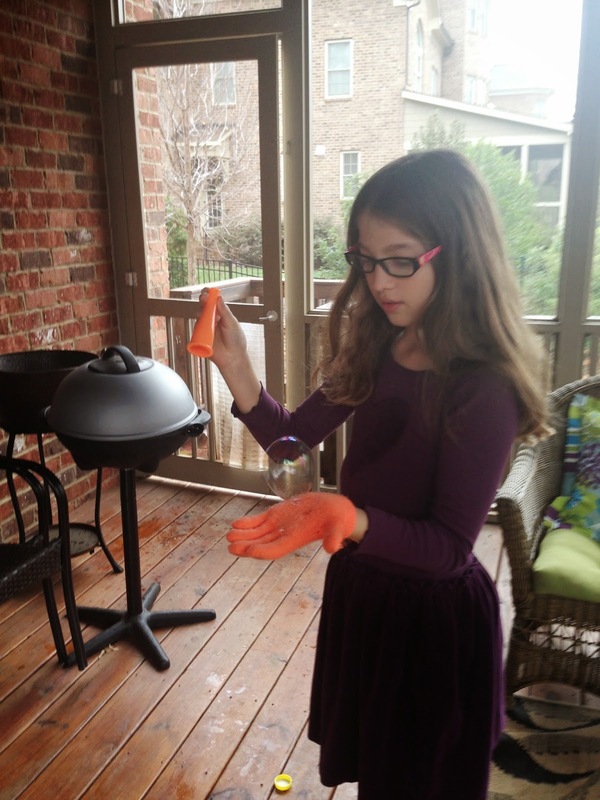 The following is her guest blog post! It is never too early to encourage a good skin care regime for your teen. The teenage years can wreak havoc on the skin causing much frustration. Following these tips can help your teenager achieve healthy looking skin! Wash your face every morning and every night before bed. Use a cleanser that targets your specific issue such as acne, dry skin, and sensitive skin. For acne, use an acne-medicated cleanser which may contain one or all of the following ingredients: benzoyl peroxide, salicylic acid or sulfur. These are common ingredients that help break down pimples and speed up the healing process. If your skin is sensitive, use a sensitive skin cleanser that is gentle and moisturizing. Use a daily moisturizer with broad spectrum SPF (sun protection factor). Make sure the SPF is at least 30 and not under. Higher numbered SPF work as well but there is very little difference in terms of coverage. You still have to reapply no matter what number the SPF, especially when going to the pool or beach. Nothing is truly “waterproof” and it is best to reapply every two hours. By doing this, you will also keep your skin from premature aging which can cause wrinkles and hyper pigmentation. Exfoliating the skin with a facial scrub or using a facial brush can help hasten the skin cell turnover rate. This promotes “new” skin to come through which can help with acne prone skin and even skin tone. Getting facials by a licensed esthetician or skin care specialist is another great way of exfoliating the skin and getting a deeper skin cleansing. Eating fruits, vegetables, whole grains and lean proteins are better for your body and skin. Drink plenty of water and limit your sugar and processed food intake. With the reduction of potential allergens, artificial flavorings and chemicals, your skin will have a better chance of clearing naturally and looking radiant. That old cliché “you are what you eat” holds very true. A healthy diet shows in your skin! Thank you Josie Griffith, Licensed Esthetician jgesthetics@hotmail.com! Please share any product or tip suggestions that have worked for your teen! 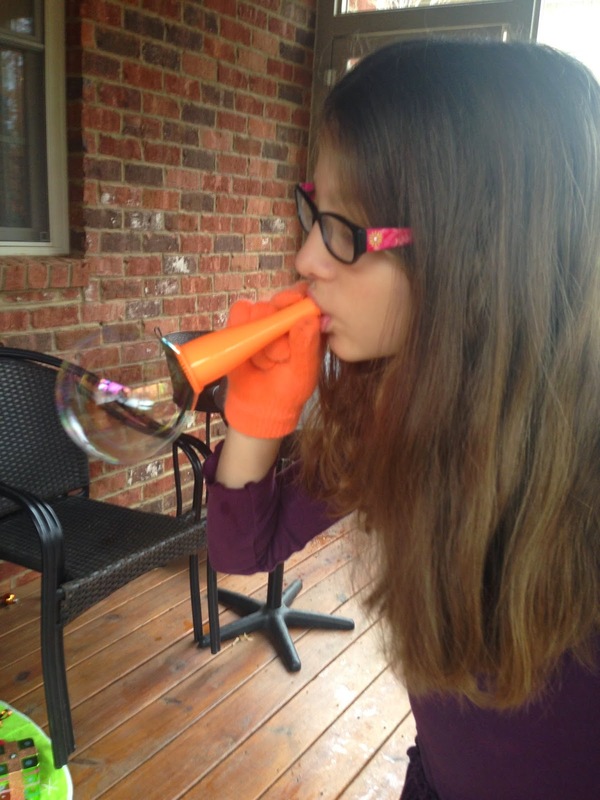 Juggle Bubbles are a blast for kids to play with and really easy to make! And it is so much more cost effective than purchasing a Juggle Bubble kit! This is such a fun and easy diy project for the family! It only two a few minutes to prepare. However, you need to let the mixture sit for 24 hours before using it. 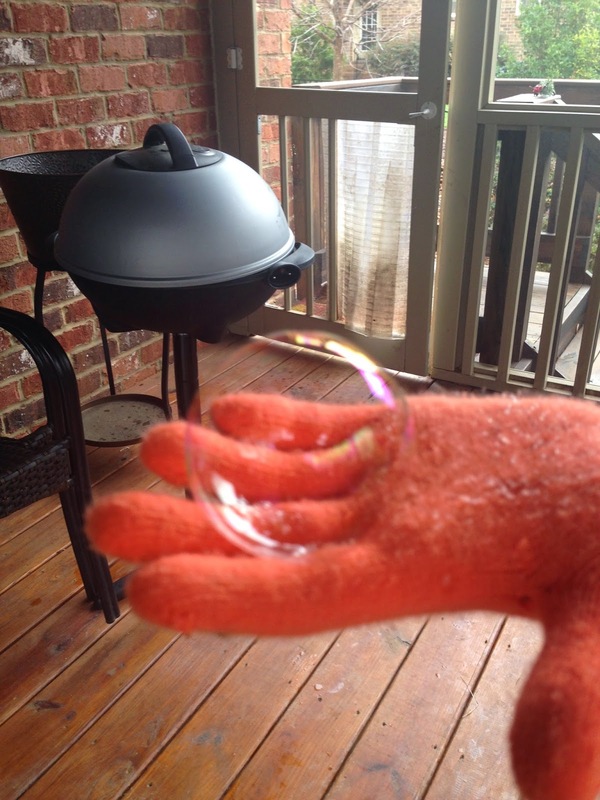 Lastly, we found by adding a little more glycerin and Dawn Dish Soap (two to three additional tablespoons of each) to the mixture the bubbles don't pop as easy. I purchased glycerin at CVS Drug Store in the Health and Beauty Aid section. DIY Juggle Bubble How to Video! 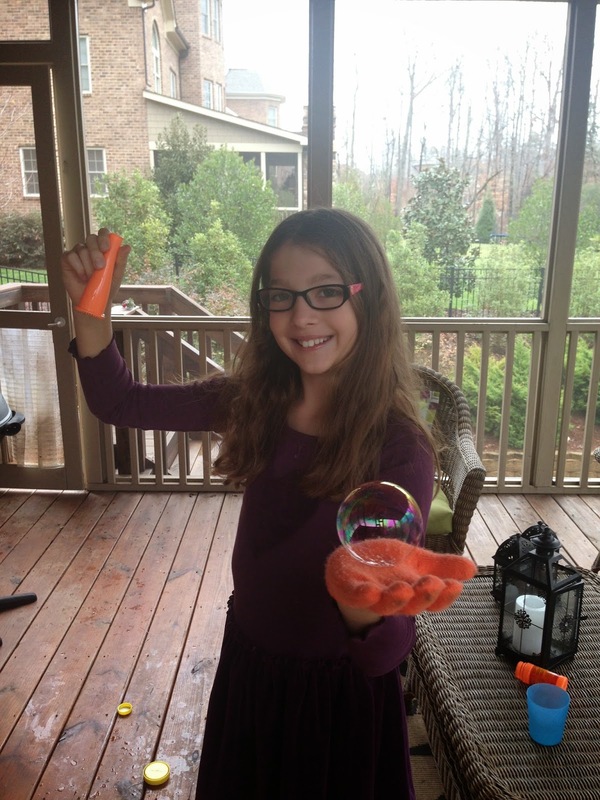 Here are some fun pictures playing with our homemade juggle bubbles! Isabella Babysits Baxter children's picture book is now available on Amazon in hardcover for only $6.95 plus you can get Free Shipping if you spend more than $35.00! This children's picture book is cute and funny! It teaches kids about responsibility. Great book for a preschool and kindergartner aged child! About the Children's Picture Book on Sale on Amazon! 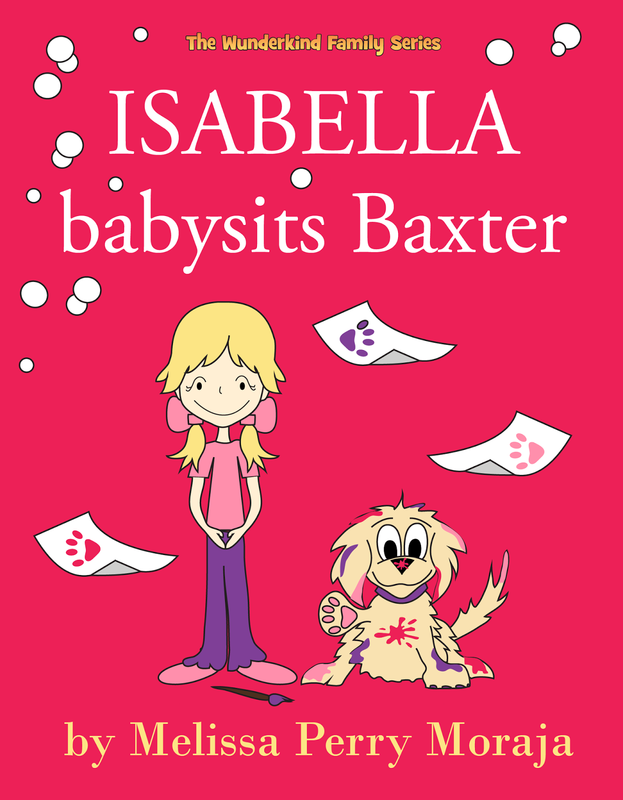 Six year old Isabella usually is the one who has a babysitter. But when her enormous puppy named Baxter creates a mess and prevents her mom from working, Isabella’s mom asks her to babysit him. 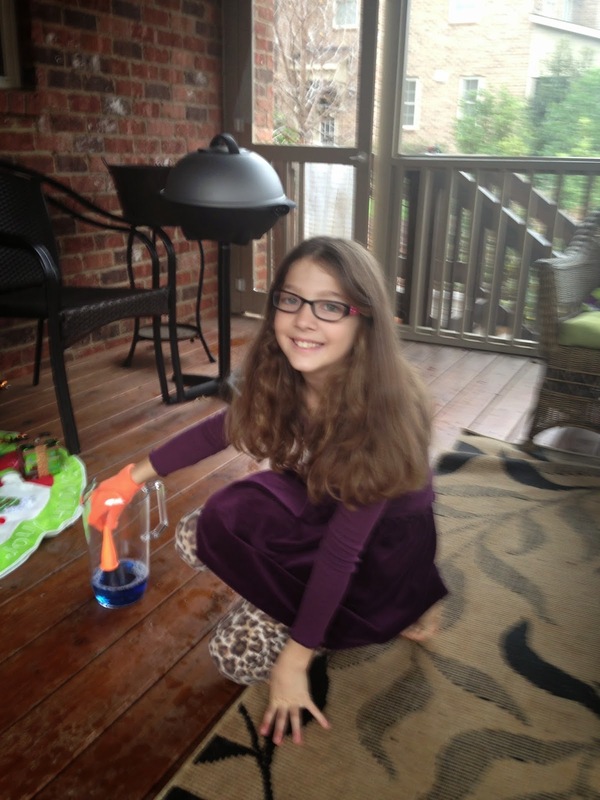 And Isabella knows exactly what to do! Or does she? 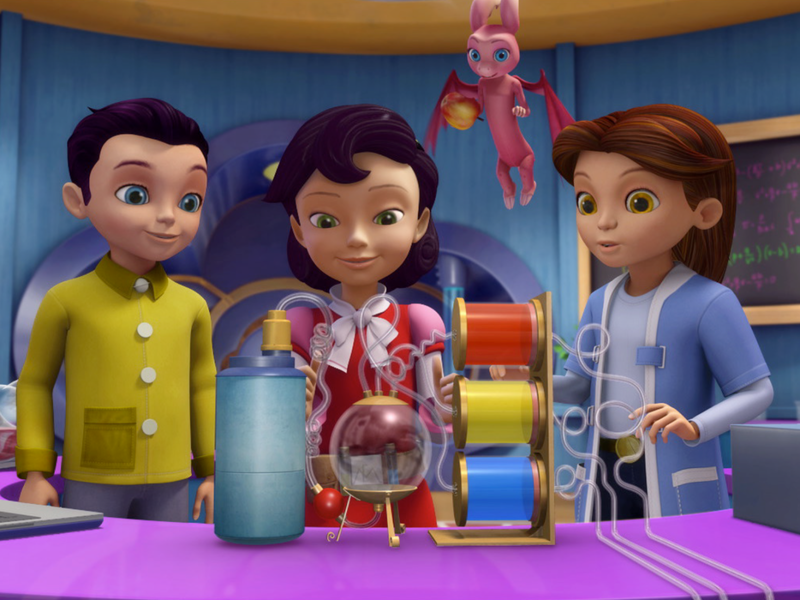 First, Isabella gets Baxter dressed…TWICE! Next they have a snack, but not without a CRASH and a BANG. And that’s just the beginning. 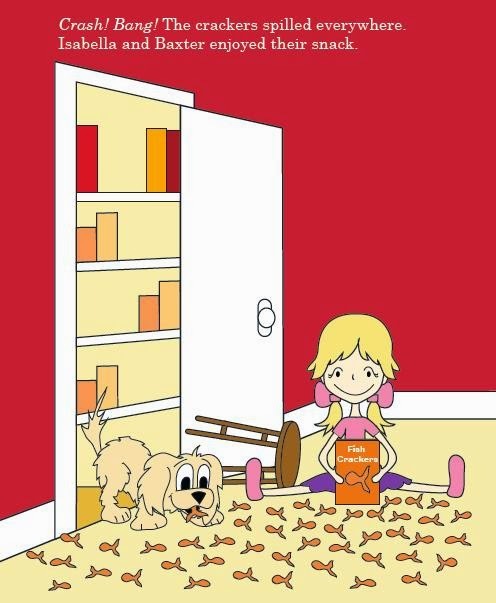 Join Isabella in her very first picture book filled with lots of humor and adventure as she tries to keep Baxter from making a bigger mess. Hope you will check it out and share! Leo's Pad Enrichment Program for Preschoolers by Kidaptive is one of the best educational preschool learning apps around! I've bought quite a few learning apps over the years, having four kids. This is the first learning app where my 3 year old actually has played it every day since we've had it! It's fun! It's interactive! And it teaches your preschooler and kindergartner some valuable skills! Leo's Pad award-winning adaptive-learning series, designed by Stanford researchers and the best animators, consists of "appisodes" (mini-animated episodes of a story). Within each appisode, young Leonardo Da Vinci talks directly to your child, making he or she feel as if they are in the story themselves. He and is friends need your child's participation throughout the story by completely certain activities such as building a rocket, creating a map and designing a birthday card. These activities and games are not only a blast to do, but also are helping your child develop valuable skills. What I absolutely love about the Leo's Pad Enrichment Program is the Parent's Pad. This is a tool within the program that gives parents the ability to track the progress of their child's learning. It shares what your child has been doing and working on, and how they are progressing on certain skills. It also gives you suggestions on what you can do off-screen. Overall I give Leo's Pad Learning App for Preschoolers by Kidaptive 5 stars! As a Bzzagent, I received this learning app for free for my honest opinion.